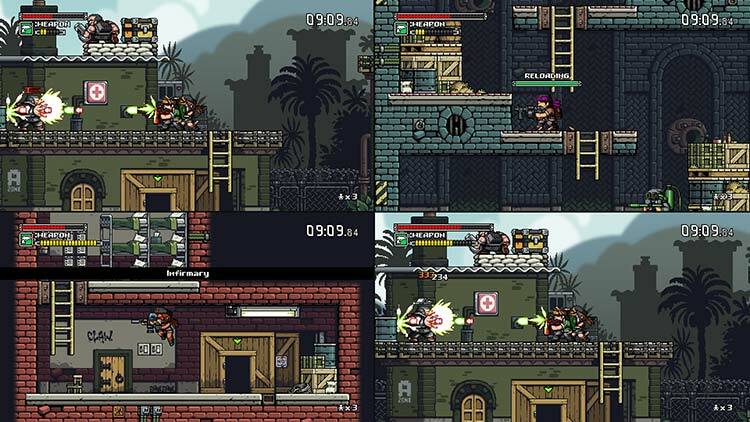 Mercenary Kings: Reloaded Edition features many other minor features and improvements over the original release of the game, such as the ability to buy materials, stronger grenades, a menu previewing mission rewards, all mission objectives displayed on the mini map, tips displayed during loadings, and more. Blending genres has created a kind of mediocre middle ground, with the only truly exceptional aspect of the game being it's fantastic visual style. The vivid, gorgeous pixel art elevates the experience, as does the ability to jump into local or online co-op with ease, so if you're looking to temporarily swap your Bowgun for an AK-47, then this is definitely still worth a look. 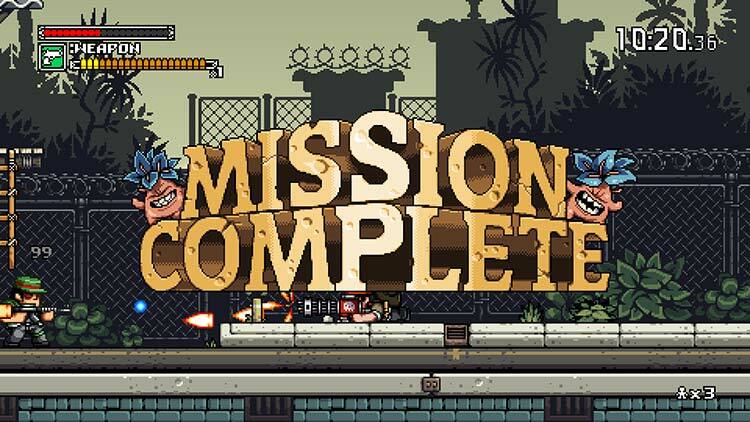 Still, if the combat sounds up your alley, there’s a whole lot to love in Mercenary Kings Reloaded. 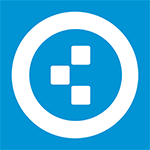 The content is not at fault, nor is the level design and replay value. This one’s a blast to play with friends, and that may be its most saving grace. The sluggishness of movement and shooting is halved when you’re playing with a good friend who can share in the mayhem. It also allows online play with friends, strangers, or by invite only so you can tailor your desired experience. Playing solo is doable, but MKR is a whole lot more fun when it’s played with friends. 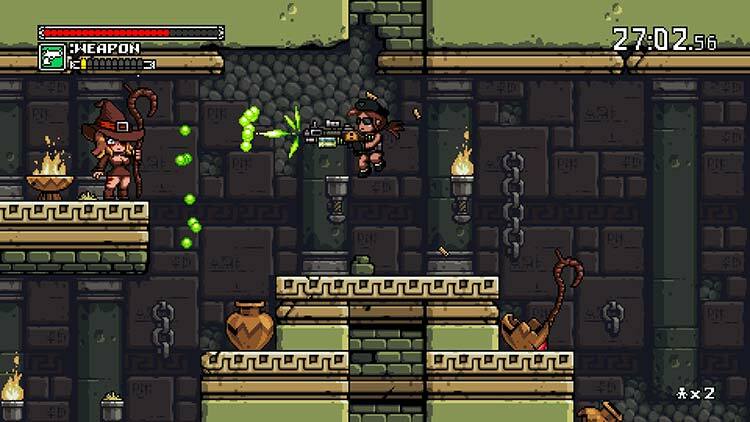 Mercenary Kings is a great time by my lonesome and online, both with friends and rando's. 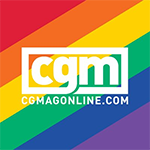 It's definitely worth checking out. 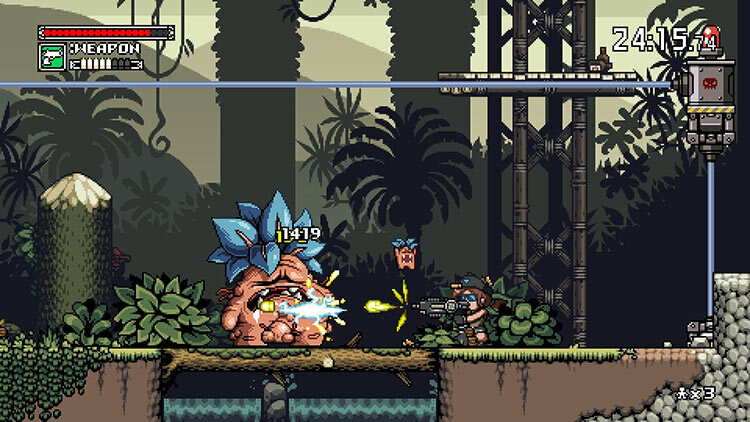 Mercenary Kings: Reloaded Edition adds two new characters and expands the weapon building but the missions are not balanced for an enjoyable single-player experience. The amazing sprite art and animation is the real star here, but sadly not so much the gameplay. 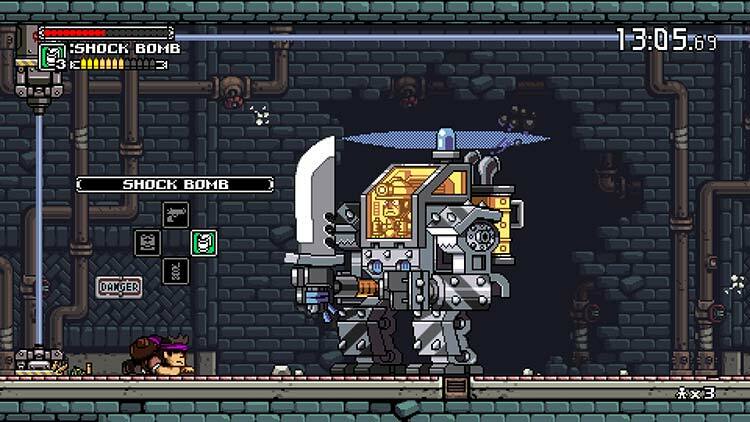 The co-operative mode is definitely how Mercenary Kings was intended to be experienced. The visuals and characters just barely keep this engaging enough to keep people playing solo. 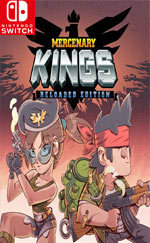 It may just be nostalgia, but for its price, Mercenary Kings Reloaded feels like a perfectly fair package.